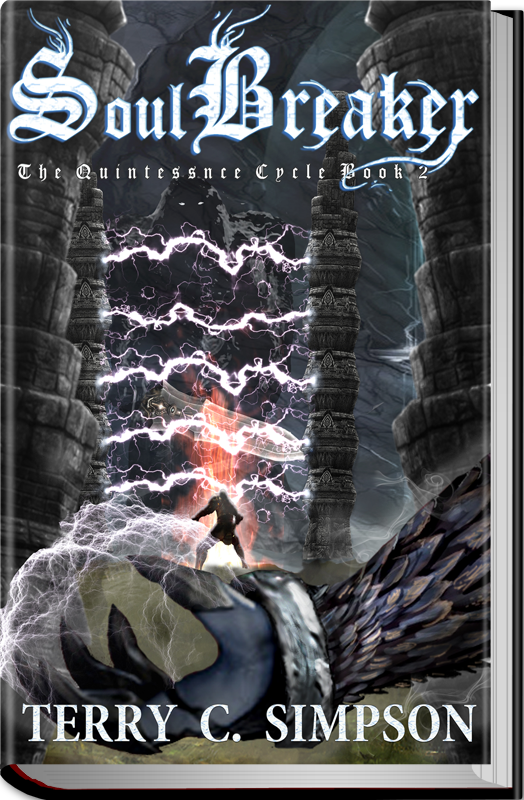 The second volume of Terry C. Simpson’s Quintessence Cycle, a sprawling epic of magic, war, adventure, and intrigue in a world full of mysteries. Chaos rules in the wake of Succession Day, even in the heart of the Empire’s capital, Kasandar, where commoners revolt and counts and priests plot. All across the world, armies rise to strike at King Ainslen’s fledgling rule. Queen Terestere is captured and returned to the city where they murdered her husband, intent on saving her people, and set on vengeance. Keedar and Winslow hone their skills, one for a test that could mean his death, and the other to help save the man he once called his father. Delisar languishes in a prison, soul magic siphoned by King Ainslen, while his brother, Thar, plots to free him and discover a way to defeat the Farlanders. One thing will determine who lives or dies, wins or loses. The power of the soul.